Dylan and his OFSNE crew took over the Drux studio this past weekend as the final stop on their Hot & Cold Pop-Up tour. Dylan has been tattooing for four years now and has mastered the art of hand poke tattoos. He’s heavily influenced by barb wire, broken glass and bullet holes. He is known for his bold black lines and precise clean edges. Aside from his hand poke tattoos, he also does original paintings, and merchandise. 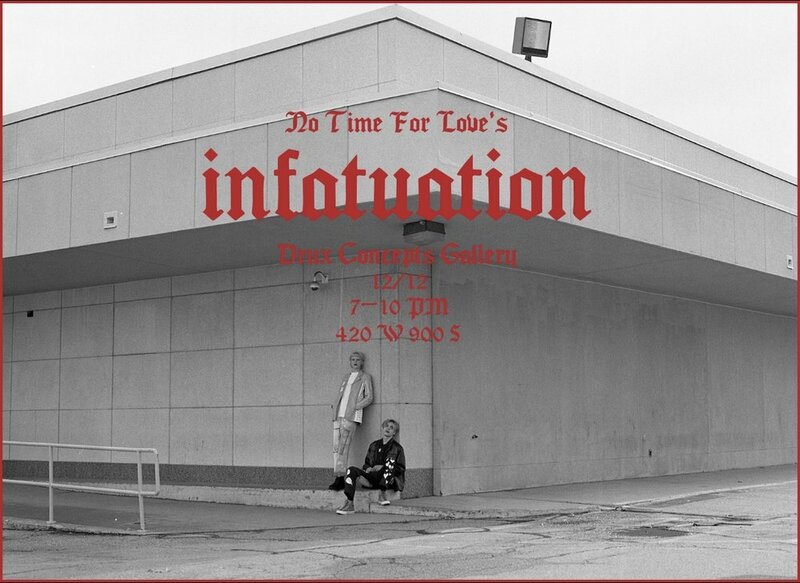 An inside look at Cade Goetz and his brand “FortyFour”. Cade directed and styled his look book shoot at the Drux studio along side his close friends that modeled. Our relationship with Parker started just a couple months ago over social media, we finally met parker at the store and knew we would have a lasting genuine friendship with him. 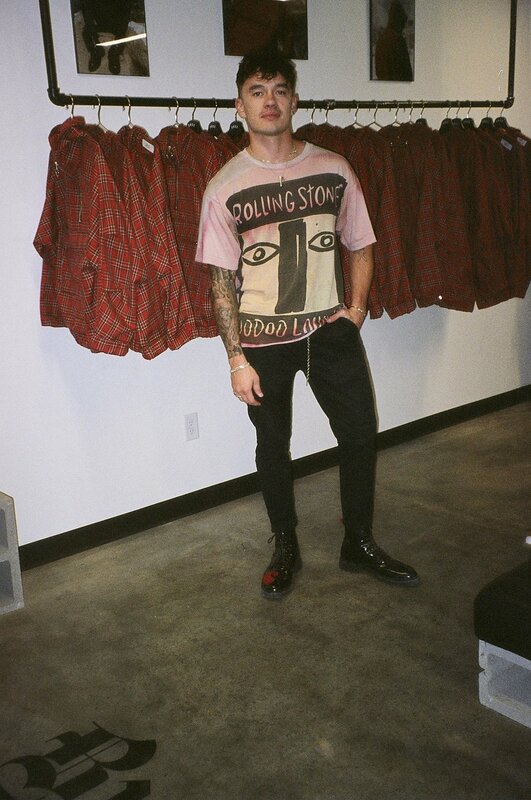 He started Absent earlier this year with the release of some tees and shorts. He quickly followed with the release of his airbrush angel and devil tees that made a huge impression on the street wear community. 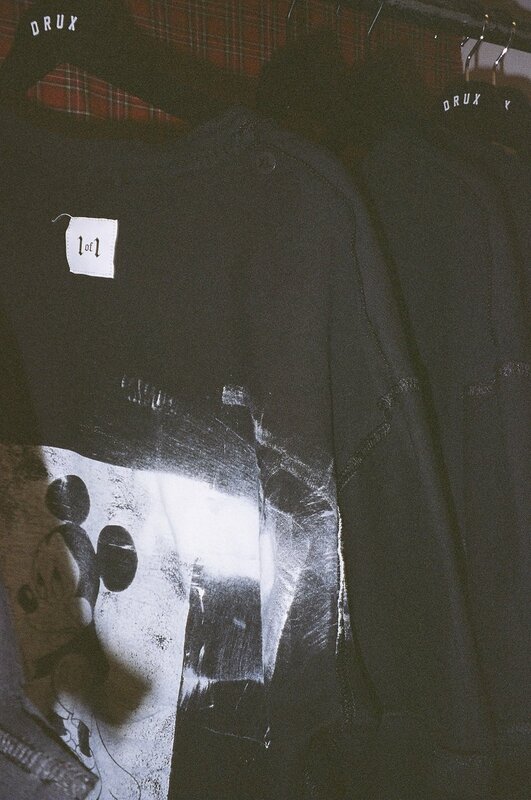 Since then, Parker has released a number of pieces from a collab with 10CELLPHONES, a pop-up in NC, iconic hunter tees, a collaboration with Clean, a rhinestone collection and most recently his first full collection totaling 13 pieces titled “To Die For”. Parker has been making a wave in the underground since he began and will continue his journey in Chicago January of 19’. 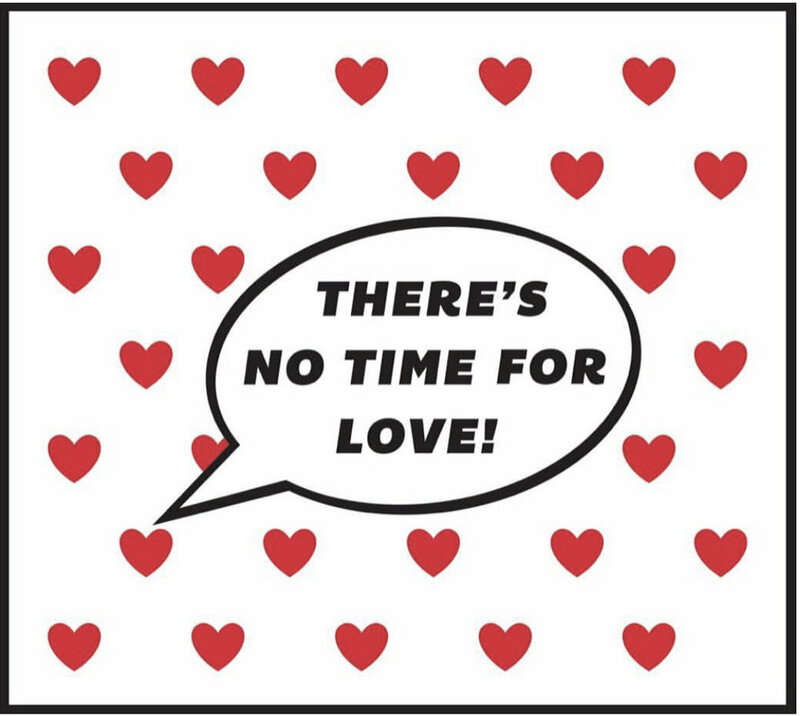 Vinnie is back with another stylish track that is full of good vibes and a bounce that we haven’t heard from him yet. This time linking with producer Scatterbrain, Vinnie gives us his brand new track “rollercoaster” , nostalgic vibes that will last multiple summers to come. Aaron Snxff has been making music from a very young age. His most recent passion has been with hip hop music and creating hard, deep, unique sound of his own. Here is an inside look at Salt lake City producer SNXFF. His background, why he loves making music, and the break down of how to create a snxff beat. CUT * SEW * PAINT * PRESS w/ Drux USA "LAB" installation for the one year anniversary of our flagship. For our 1 year anniversary we decided to thank our customers for all the support from the past year by having a lab event where you can come in and pick out a blank and then design the article of clothing how you like. We couldn’t have done this without everyones support and are looking forward to the events in the upcoming year. Timeless artists are those who speak a language of transparency and truth. 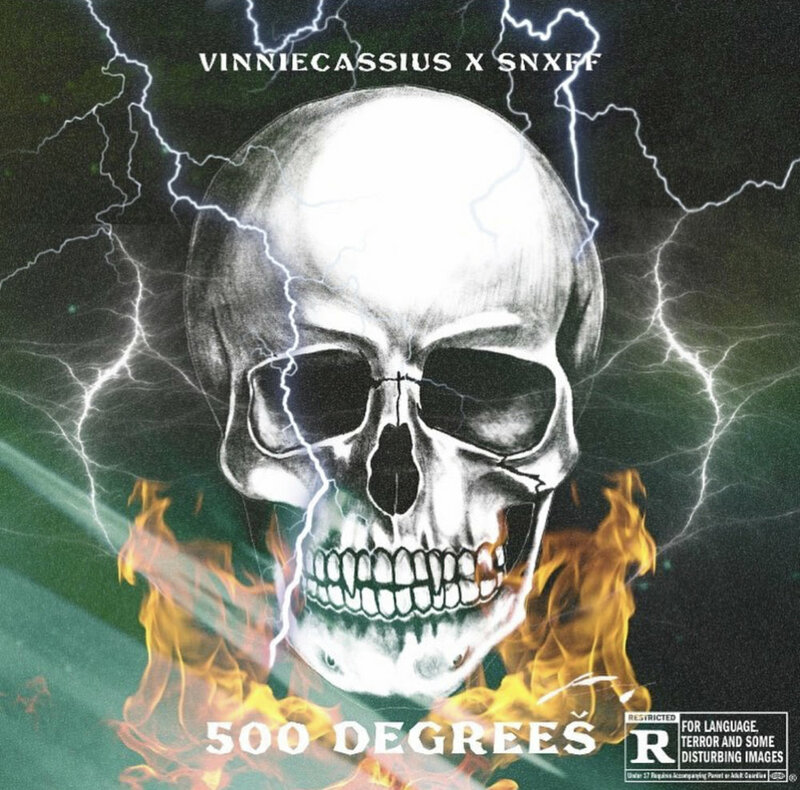 Rapper / poet teaming up with producer snxff, vinniecassius delivers "500 Degrees" over a stylish track that is both sonically mesmerizing and full of thought provoking lyrics that shows vinnie’s wide range of musicality. 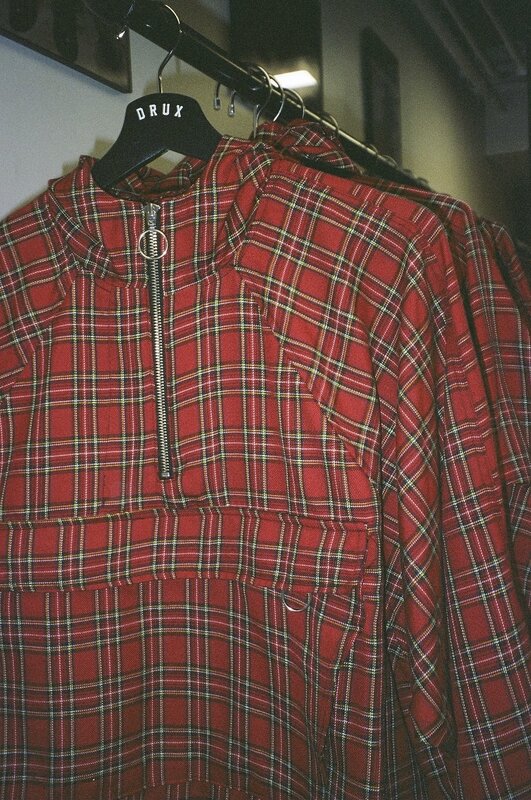 Brody Ashton takes over Concepts Gallery to display his highly anticipated plaid anorak.